The Konica Minolta Bizhub 362 features extra-fine, polymerised Simitri toner technology. This means that it can produce exceptionally brilliant printing optics derived from tiny, evenly shaped ink particles that produce clearer, crisper than ever, printing results. Printing production is more fade resistant and fixed, or long-lasting, pristine images that do not peel or crack with handling. Manufactured to house ink with finer than average particles, Konica Minolta Bizhub 362 toner cartridges have the potential to help produce amazing prints; enhance documents and graphical illustrations with half-tone definition, and sharper lines around the edges of images and text. A true innovation in refined laser printing, copies appear like originals every time. Colour rich resolution and high-volume capacity make the Konica Minolta Bizhub toner cartridge a likely choice for artists, as well as business offices. 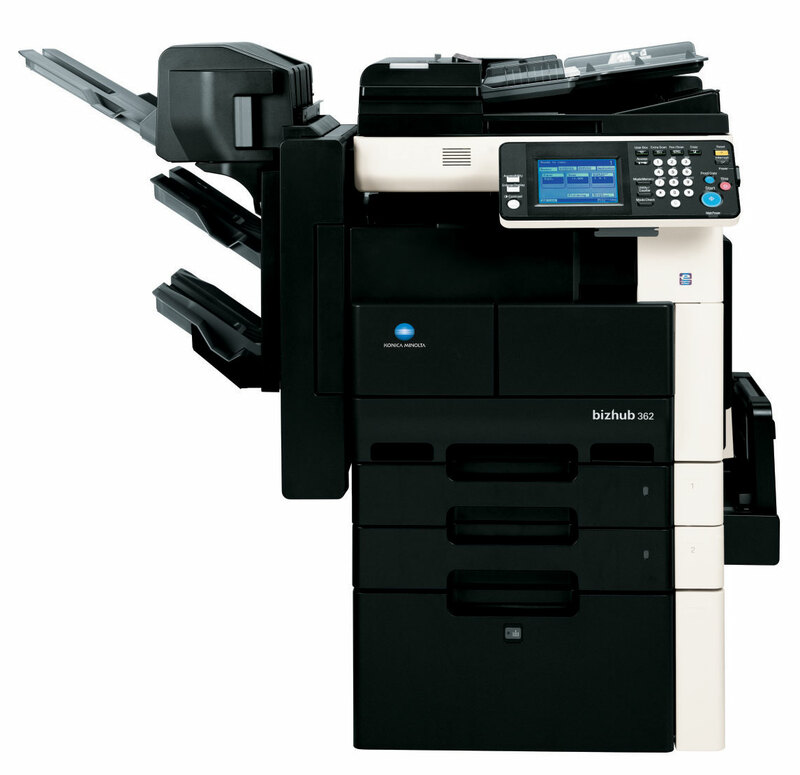 Konica Minolta Bizhub 362 is the maxim for sustainable print performance. Tested for environmental degradation, this printer is designed to prevent over consumption of electrical power and paper on printing jobs. The printer offers 2-side printing features, and control over density of dpi. Offering volume printing capacity of 17,500 pages, this Konica Minolta printer is destined to be a top choice of any office seeking non-stop printing production without error. It also offers its users printing speeds of up to 36 ppm. This printer offers users impressive features, but due to its large size and price threshold, it might not be suitable for small offices. It offers a range of security features that control access to the printer and its scheduling, but these are quite complex to set up. If a designated user is not able to access the printer, tech support staff may be required. All-in-all the security features of this printer are really an advantage if the proper support is in place.